I almost forgot to do one today cause I forgot that it was in fact Tuesday. Thank the gods that I didn't because it's a good one today. I'm counting series', because it's hard enough narrowing it down to the series'. I haven't quite finished the series yet. Okay I've only read two books, but I devoured those first two books, but since I've only read two, they are only 10 on this list. I still got them on here, okay? Fabulous books. 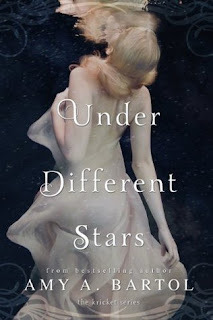 This book hit me right in that place in my chest that constricts when you feel deep emotion. You know that place, where it does the thing. Like that tight feeling in your chest when you really feel like crying. You know what I'm talking about. It's a children's book with an underlying message and it's beautiful. I think everyone should read this story at least once in their lives. Also I found this gem. Gender bent from The Mortal Instruments. Did you see the loophole? I found it and it is mine. I couldn't decide which series I should put on my list, the Mortal Instruments, the Infernal Devices, or the Dark Artifices. So I chose them all. I regret nothing because all of these books are in the same world and I love them all. I own every single one of the books in the series's. 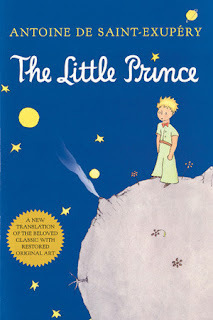 This is another book on the topic of growing up *cough cough* Little Prince. This one had no underlying message though. It's fairly straight forward. It's a fun and heartbreaking story. Some might not see it that way, but that was the way I felt. Peter didn't want to grow up, so he got left behind by everyone. Despite this sad ending, it was a real adventure. Few can partake in the joys that of young children. 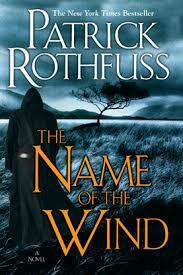 One of my favourites, I loved everything in this series from the characters to the plot to the setting. it was magical. I can't really say anything that I haven't already said about this series. I haven't read A Court of Mist and Fury yet, but it's next up. So I guess that can be included. Anyway I love anything written by Sarah J. Maas. She could probably write a story sympathizing with Hitler and I would probably read it and love it. Actually no I wouldn't, but you get my point. 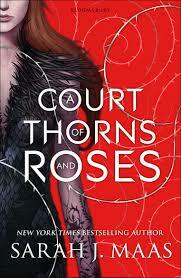 So the moment I found out he had started a series other than Throne of Glass, I had to read this. It wasn't even a question and I'm glad I read it because it's amazing. I wasn't actually expecting to like this book. I honestly wasn't. I didn't hate the Grisha Trilogy, but it was far from my favourite. So tickle me surprised when I couldn't seem to put this book down. 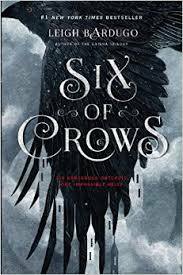 It went in a good direction and was an extension of the Grisha trilogy world that I enjoyed immensely. Where do I even start with this series? I was apprehensive when starting this. I didn't think I was going to like it. It just didn't seem up my alley, or so I thought. I read the first two in a matter of days. it took me a bit longer to read the third, but that's just cause it was so much bigger than the first two. Then the fourth. Oh the fourth. I read that book in four days. That was me dragging it out. I savoured every page. There was not a single point in the book where I was bored. This book was amazing. Blew my itty bitty little mind to smithereens. It was so well thought out. I usually don't do so well when the protagonist is a guy. I don't know I have a harder time relating to what he is doing, well that kind of happened in this book because I decided that I shipped Kvothe with Ambrose and I know for a fact that that will never be cannon. I still ship it though. I loved everything else about the book though. The world building was exceptional. Probably one of the best aspects of the book. There is no choosing one book. 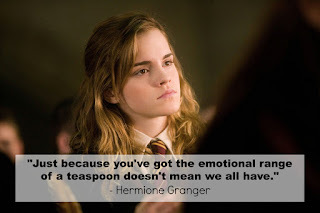 I don't care about what you tell me, for all I know Harry Potter is just one big long book. I grew up with Harry. I went to school with Harry. I suffered and succeeded with Harry. There was no doubt what would be number one on this list. And if there was doubt, where is your mind at? Like, what? Harry Potter, number 7 on the quid ditch pitch. Number 1 in our hearts. Well that got intense... I hope you enjoyed that?